Human societies have always been shaped by conflict between ruled and rulers. Rome fought slave and tribal revolts as often as foreign wars. Feudal Kings needed the Church to mediate the demands of their serfs and armored knights to put down rebellions. Capitalism produced a wholly new set of social movements. Whereas the pre-capitalist Wars of the Three Kingdoms (the proper name of the “English Civil War”, acknowledging the vital role played by Scotland and Ireland) were fought for reform of the Church, from the late 18th century on movements emerged demanding higher wages, safer working conditions, shorter hours, and political democracy. Economics supplanted religion as the mediator of class conflict. From these movements came trade unions, cooperatives, building societies, and the ideologies of Socialism and Communism. Even fascism, being a reaction against Communism, was ultimately caused by these movements. From living standards to geopolitics, labour movements shaped everything in the 20th century. Today we find ourselves at a juncture. Actually-existing Communism is defeated and discredited. Trade unions are weak and largely confined to the public sector. Even the Mary Barbour-descended Scottish tenants’ movement, which beat the landlords in 1918 and by the 1970s was replacing Council ownership with tenant’s management cooperatives, met a sticky end at the hands of the McConnell government. This isn’t just the story of Thatcher beating the miners. 30 years have passed since then, trade unions have declined across the developed world, and we have been left with no champion to oppose a aggressive new right wing politics. Increasingly, the manufacturing jobs that first created trade unions, Socialism and all that will disappear. Even intellectual labourers are seeing their jobs turned into production lines, then automated. Bank clerk used to be a good job – today you’ll be on a zero hours contract in a call centre, thanks to computer software. The situation has seemed increasingly hopeless. But in 2014, right here in Scotland, amidst the smoldering ruins of Labour’s old-style centralist social democratic project, a flower bloomed. Activists have been trying to empower citizens through social media since the early days of the internet, but in the Scottish independence referendum political social media finally became a mass phenomenon. Yes activists took to adding everyone they could as Facebook friends, especially those with Yes twibbons, but also unconvinced citizens. This created a dense news distribution network that reaches hundreds of thousands of Scots. In combination with high quality crowdfunded news and comment websites this allows a far wider range of perspectives to reach the public. The centre of politics has shifted away from the narrow politics of the media and political classes, and towards the broad left wing politics of the Scottish people. Humans are driven to conform, and good thing too, or there could be no society. Unfortunately, when we watch television news, our views are shifted because a wide variety of people are presented agreeing with ruling class viewpoints. We feel an urge to agree, just as we would if all our friends shared a point of view. Social media has inverted that pyramid, to great upset from journalists. Now they have to face the views of thousands of (often angry) ordinary people, and once a dense network such as Scotland’s politicised Facebook users is formed, we can establish our own social consensus without being trapped in an ideological spectrum where Ed Miliband is considered dangerously left-wing. We have to build institutions that serve the same function to us as trade unions did to the labour movement, which learned the hard way that it needed permanent institutions and financing. Perhaps reformed unions, or reformed political parties, can be the vehicles we need. Perhaps it will be something new. We’ll find out by building it. Yes, Greek governments have managed the country poorly, there is a lot of corruption and it is difficult to collect taxes. However, before the 2008 crash, their government debt-to-GDP ratio was ok (or at least, not in crisis). When Greece joined the Euro, the banks decided that Greek debt now had the same risk as German debt, and lowered interest rates accordingly. When the crash happened, German and French banks found themselves hugely exposed to bad Greek debt. They had mispriced the odds of a default. In order to save their banks, the German and French governments turned the debt to their banks into a debt to their governments. So the banks got bailed out, but the money did not reach the Greek people. The creditors decided that to pay back its debts, Greece must run a budget surplus. This is very bad economics. The cuts knocked 25%-30% off Greece’s GDP – more than the German army managed in the 1940s. The Troika’s economic predictions assumed a recovery that never happened. 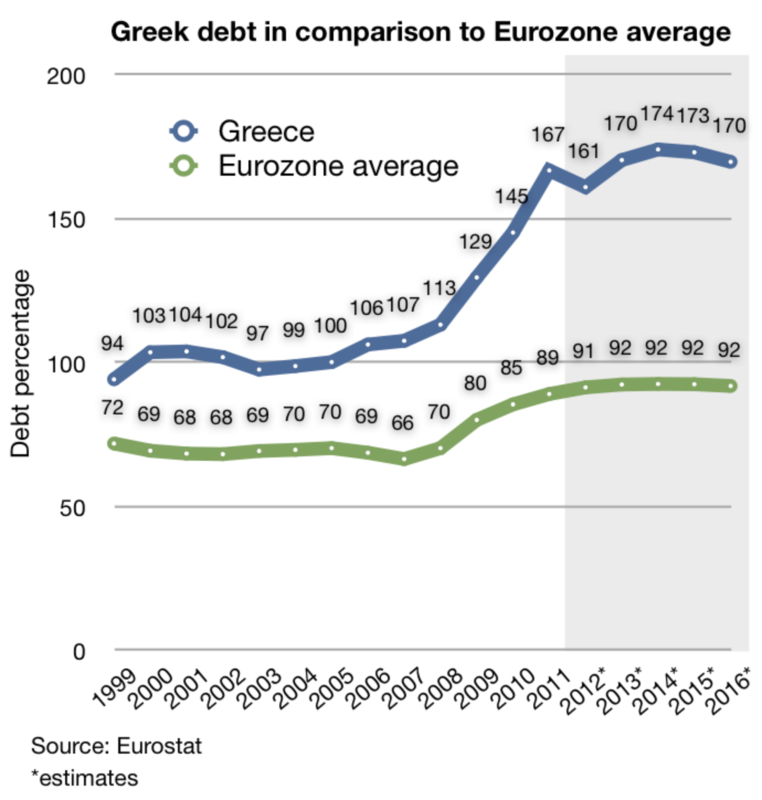 As a result Greece has less capacity to pay back its debts than it did at the start of the crisis. In fact, as currently structured, it cannot pay back those debts. Nonetheless, the Greek government has offered to continue to run a large surplus. They insist however on making their own choices about the balance between cuts and tax rises to accomplish that. The creditors insist that there must be cuts to pensions and a freeze in the minimum wage. Greece’s biggest problem is that it is a net importer. Within a currency union, that means that Germany (with its export surplus) will get richer and Greece will get poorer and more indebted. The only solution is fiscal transfers from importers to exporters. In the past (before the Euro), this happened by devaluation – the Drachma, and Drachma-denominated debt, periodically lost value. In the US, it happens by federal spending – New York’s trade surplus pays for Mississippi’s welfare and military bases. Thing is, New York can’t exist without Mississippis, and Germany can’t exist without Greeces. One man’s trade surplus is another man’s trade deficit. 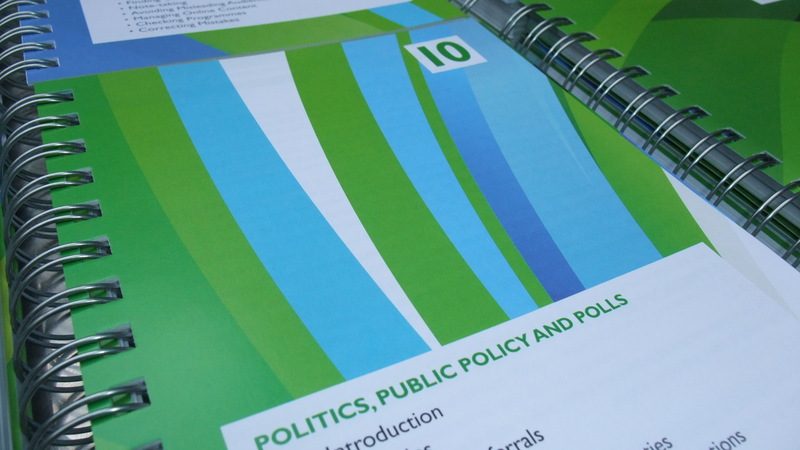 The Labour Party has issued a “dossier” to journalists of “abuse” by SNP members on twitter. Labour may have broken Data Protection law, and this post describes how, if you are in the dossier, you can make a complaint against the Labour Party to the Information Commissioner, for free. There are sample letters at the bottom. Before I start, I’d like to say to all the people in the dossier: even if you’ve said something you shouldn’t have, we have all done that at least once. You have the movement’s solidarity. Nobody should be abusive on Twitter, and in some cases maybe the party will need to send you a reprimand. But I know most of you are ordinary, decent people who have had one or two angry moments highlighted and sent to newspapers with the ability to broadcast their own to abuse to hundreds of thousands of people. You don’t deserve that. I am not a lawyer: this blog post contains my own and others’ opinions and is not in any way legal advice. 1) According to Tim Turner (you should read his full post), you can complain on the grounds that the use of your data was not “fair” – Labour do not have a right to collect data on you and then distribute it to third parties in secret. 2) Also according to Tim Turner, to use your personal data, Labour require one of: “consent, a contract, a legal power or obligation, to be protecting vital interests, or a legitimate interest.” In his view, none of these conditions is met. 3) In my view, the leak of the document breaches the requirement that your data should be processed securely. Only the Information Commissioner can say for sure if there has been a breach. It is well worth asking him to investigate. 1) Call 0303 123 1113, the Information Commission helpline. 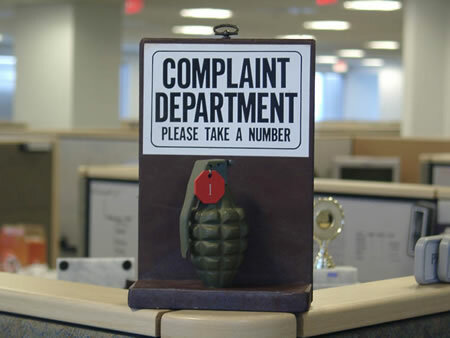 They can advise you on your rights and the complaints process. 1) It was not a fair use of the data. The Labour Party does not have a right to collect and process information on individuals and distribute it in secret. 2) The Labour Party does not have my consent, a contract with me, a legal power or obligation, is not protecting vital interests, and does not have a legitimate interest in processing and distributing this data. 3) My data was not held securely, and was leaked on the public internet. Please send a full response within 28 calendar days. If you cannot respond within that timescale, please tell me when you will be able to respond. I am concerned that the Labour Party have not handled my personal information properly. I have reported this to the Labour Party, and am not satisfied with their response. I request that you urgently investigate this potential data protection breach. Please find attached my letter to the Labour Party. One of the most stressful things I have ever done is spend 6 hours as second in command of a 20-person allied command structure with each 8 in-game hours as a strict 30 real minute turn. It was also amazing. Absolutely, mind-bogglingly amazing. I was at the 2nd Scottish Megagame. A megagame is a massive (40+ players), immersive, free-form version of a board game. There has been an explosion of interest in megagames after Shut Up And Sit Down filmed themselves playing Watch the Skies late last year. 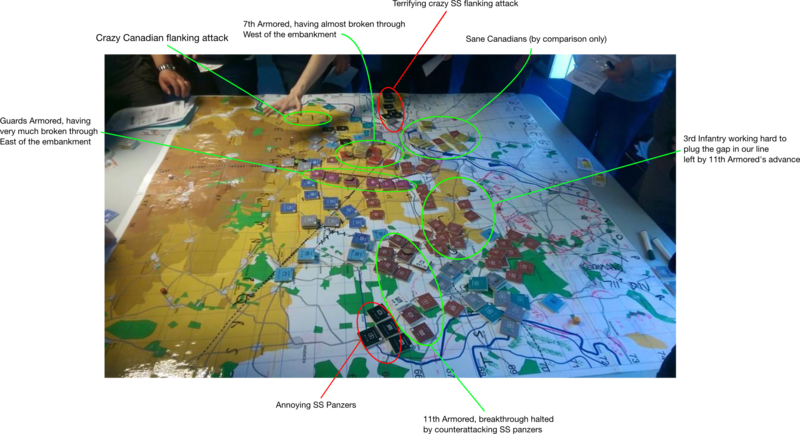 Clubs have sprung up across Britain and the original London megagame club recently ran a 300-player version of Watch the Skies. The game we played was Operation Goodwood, a simulation of a WW2 battle in which British armour attacked near Caen, in an attempt to destroy German armour, capture the Bourguébus Ridge and ideally break out of Normandy completely. It was hosted at the fantastic facilities of Common Ground Games in Stirling, a gaming shop and huge playing space complete with cafe. Three of us bought tickets, expecting to be placed in charge of a division. Instead we found ourselves placed in charge of the entire 20-person allied team! We quickly swotted up on the historical battle, watching the British Army war study of the battle. The rules were very clear not to make plans before the day itself, so we discussed the broad possibilities and challenges but avoided coming up with anything. On the day itself, the planning phase started without much fanfare, and confusion reigned. Nelson, our gallant commander, brought some order to the situation by drawing a large green arrow on his map, indicating that the British armour should all charge to the west of a tall railway embankment running down the middle of the map, while the Canadian infantry took Caen and the large British 3rd infantry division spread out across our large Eastern flank. This was because in the real battle, the British armoured divisions advanced unsupported into the middle of villages that were thick with anti-tank weapons, and were shot to pieces. Instead, Nelson wanted to send the bulk of our force to one flank, get onto the ridge, and roll up the German defences from one side. In the event, the first day went badly off-plan. With about ten minutes of the 2 hour planning session left, Nelson was informed that his plan was at high risk of causing traffic congestion. Together with the commander of the entire armoured corps, Douglas, he quickly devised a new plan where the Guards Armoured would advance east of the embankment, while the 7th Armoured advanced to the west. Air HQ were caught by surprise by the deadline, and had ordered a mass bombing, but more diffuse than intended, and had failed to issue any recon or air support orders for the morning turn. The one thing that went right on the first morning was the Canadian assault. They captured most of Caen and were looking good. Unfortunately, all of the armour found itself caught in traffic jams and did little more than cross the Odone. The 3rd infantry had issued a prepare rather than an attack order, which was not our intention. Apparently they told me about this – I have no memory of it, but they’re probably right. It’s hard to convey the stress and the amount of information you have to process while playing the game. All sorts of things were being forgotten, missed, or miscommunicated. This was not helped by a general shortage of intelligence officers, including none in HQ at all. In retrospect we should have promoted someone, but at the time we didn’t want to take people away from the friends they had come with. I took on the intel role alongside my COO duties, while Nelson stepped into quite a bit of operations-level work. On the second day, some things improved. The Canadians were largely bogged down in Caen, but the 3rd Infantry managed to engage the enemy, albeit far farther back than we had originally hoped. The 7th Armoured, West of the embankment, was able to attack South, engaging a unit of self-propelled guns, and the other two armoured divisions began to fight their way forward. Our air support became increasingly well-organised, and cooperation between units improved. At this point we thought the battle was going very badly for us, as we had barely advanced at all. We would late discover that the Germans had placed everything they had in a shallow but extremely dense defence. On the third day, things got a bit weird. There was a big success when the 11th Armoured, in a brilliant change to the original plan by their corps commander, broke out to the East, with 3rd Infantry plugging the gap behind them. This attack was eventually halted by fresh panzers. There was another, as the Guards Armoured broke through East of the Embankment. There was yet another, as the 7th Armoured and the RAF destroyed massive amounts of enemy armour just South of Caen. But then… there was Caen… the Canadians, heros of the battle so far, were caught off guard by an SS panzer division appearing in Caen – on the Allied side of the river! At that point, having no idea how deep our armoured divisions had punched, seeing a surprise panzer division on our flank, I was absolutely convinced we had lost the game badly. The Canadians counterattacked brilliantly, destroying 4 squadrons of Panzers in intense street fighting and bizarrely advancing three brigades onto the ridge, turning the German West flank.. The 7th Armoured, sadly misinformed that they were surrounded, held when they could have attacked. The Guards and the 11th Armoured fell just short of the ridge. Then, as historically, the battle was halted by torrential rain. In the final analysis, we did about as well as the British did historically. We destroyed up to twice as many tanks as they did, and probably lost fewer, but just like them we only barely reached the ridge’s edge before the rains began. Before the game, I thought that it would be about not strategy, but logistics. The most amazing thing was that the game was really about people. People (all of us) made mistakes. People would say they understood an order, but later you would find that they understood it differently to you. Some people preferred to present good news over bad. Some people got bogged down in local fights without heed to the overall plan and had to be urged back onto the attack. I shouted at people and ordered people about and panicked and punched the air and forgot things and ran headlong about the place trying to work out what the hell was going on. It was exhilarating, brilliant, and utterly exhausting. I’ll definitely be back for the next one. I have received a reply to my complaint about the BBC shoehorning immigration into Scotland’s election debate in breach of its own guidelines on the use of polls. For once, they acknowledge that they breached the guidelines! The BBC are allowed to report on and headline polls, but they may only headline a poll if it adds depth to an existing story. They may not use a poll to create a story from whole cloth, which is what they implicitly admit to here. The BBC guidelines on opinion polls clearly state “We should not headline the results of an opinion poll unless it has prompted a story which itself deserves a headline and reference to the poll’s findings is necessary to make sense of it”. The guideline exists for an excellent reason, which is that it is not the BBC’s role to determine the political questions of the day, but rather to report on them. This is especially egregious behaviour in a tense pre-election context. I find it hard to imagine what the BBC hoped to achieve by commissioning this poll in the first place. The reports on this were taken from a BBC opinion poll which showed Scotland’s attitudes towards immigration. We believe these reports are newsworthy and relevant. We also feel that the stories are of interest to our audience. We accept that there should not have been references to the poll findings in our headlines, and have now changed the relevant online stories. We know that not everyone will agree with our choices on which stories to cover, and the prominence that we give to them. These are subjective decisions made by our news editors, and we accept that not everyone will think that we are correct on each occasion. These decisions are always judgement calls rather than an exact science, but we appreciate the feedback that our viewers and listeners give us on this. Please be assured that your comments have been noted and added to our audience log which is passed to senior programme makers and management. The SNP have introduced all-female shortlists, and everyone has to have their tuppence… so here’s mine. As a moral imperative, something has to happen to move us sharply towards 50% female representation in parliament. The long-standing under-representation of women in parliament is a moral outrage. If you disagree, there’s not much I can say to you – we simply have different values. All-female shortlists are a way of getting there. We have to crack open the boy’s club by force. Our daughters must grow up believing that politics is for them, too. They do have some serious flaws: they are a restriction on democracy, they can be used by the leadership to crack down on dissent (Tony Blair famously used them this way). But in the absence of an alternative that will reach the goal in (1), we have to back them. The onus is on those who oppose all-female shortlists to propose credible alternatives to reach the goal in (1). While some people who oppose all-female shortlists do hate women (hating women is sadly pretty common), there are also plenty of people who oppose all-female shortlists who do not hate women, and it is unfair and counterproductive to call them misogynists simply on the basis of their opposition – especially given that quite a few are women themselves. In 21 of 44 seats where the shortlist was mixed, a woman was selected. That’s 47%. While there is sexism in the SNP membership as in any part of society, the membership’s sexism is not the biggest barrier: all-male shortlists are. More important in the long run than all-female shortlists will be the commitment to a gender-balanced party list at Holyrood. This seems to be the key mechanism in Sweden’s success in equalising representation. Proactive leadership and confidence-building programmes are vital. Almost nobody enjoys public speaking. People only learn confidence by being pushed into it. We must teach our children that politics is for women. Meetings of left-wing fringe parties in Glasgow are often 75% male. I was often told (including by well-meaning women) that this was because they were too theoretical and argumentative and boring. That sounded plausible until I attended a meeting about art and economics at the CCA. It was majority-female and mostly consisted of exactly the same kind of high-minded and irritating arguments about Marx and surplus value and so on as happen in left wing party meetings. I can only conclude that a sense of permission is a key factor: (some/many) women are taught that they are allowed strident opinions about art but not politics. We are going to need a more complete picture of the factors restricting women’s political involvement. I’ve suggested a couple: leadership skills, permission, membership sexism, the existence of old boy’s clubs. Other factors include the abuse directed at prominent women on social media (men receive abuse too but it’s clear that women receive more, and of a worse nature), and probably plenty of other things I’m not thinking of. It would be better to have hard peer-reviewed evidence than rely on our intuitions. This problem runs way beyond gender. Any measures only targeted at gender will benefit upper and middle class women more than working class women. That is not an argument against the measures – but it is a major limitation. Last but not least: fellow men, you can have opinions about this stuff, but for god’s sake have some humility and listen to the full range of views and experiences from women. They have a really hard deal, and a lot of stuff happens to them that most men just don’t see. Whenever I speak to the women in my life about sexism they face, I am taken aback. There is a minority of highly misogynist men who subject women to massive amounts of abuse – but like all cowards they do the worst of it when we’re not watching. Listen to women.